Below you will find list of Top Play Schools in Jammu 2019. Kidzee School, Jammu is one of the best playschool that envision, nurture, develop, and enable today's children as tomorrow's leaders. 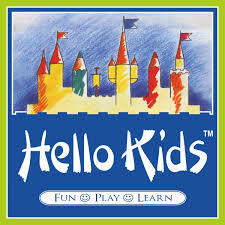 Hello Kids managed by Hello Kids Education India Pvt. Shemrock Angel is a playschool which is credited with revolutionizing the concept of early childhood education. Sanfort School, Jammu is a U.
Westoe Crown Primary school is one of the best kid schools as it provides modern and responsive education system. Apple Kids International pre-school provides a very healthy, positive, loving, caring & friendly environment for their young minds. 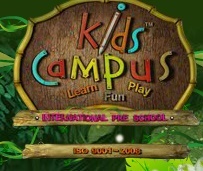 Kids Campus is one of the leading preschool in Jammu. Brainworks Play School offers education to the kids from Playgroup to Senior KG. Rich Harvest Kindergarden was started with a vision to develop each child to his or her fullest potential socially, emotionally, physically and intellectually. Tiny Angel pre-school programme recognizes each child as a unique entity and develops his/her potentials in a developmentally appropriate and constructive manner. Night Angle Pre School is one of the best playschool that envision, nurture, develop, and enable today's children as tomorrow's leaders.